Sirmaur is not only the land of snow and high mountains but also has lower hills known as Shiwalik, where too the tourists can spend their vacations, see the wonders of nature like the big lakes, wild life parks/ sanctuaries and the fossil parks etc. Sirmaur is the perfect Hill station to Visit. One such area is district Sirmaur, where a triangle of 3 important tourist places namely Nahan, Renuka and Paonta Sahib, have attracted many tourists all round the year. There are many attractions available in this triangle. One can visit these places either in the order we have explained or first visit Renuka then Nahan and lastly Paonta Sahib from Shimla side or the vice versa. Sirmaur district lies in outer Himalayan ranges, called as Shivaliks between 33°22 30 and 31°01 20 North Longitude and between 77°01 12 and 77°49 40 East Longitude. The district is bounded by Shimla district in North, the rivers Tons and Yamuna in the East, district Ambala of Haryana in the South-West and Solan district in North-West. 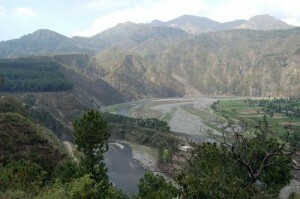 The district of Sirmaur is in the south eastern corner of the state. It is famous for its places of pilgrimages and for the legends that surround them. Nahan is a historic town pleasantly located on a ridge of the Shivalik Hills. It has beautiful green forests and valleys especially in Choordhar peak. A little town with a salubrious climate Nahan has gardens, temples and three popular walking circuits – The villa round, Military round and the Hospital round. 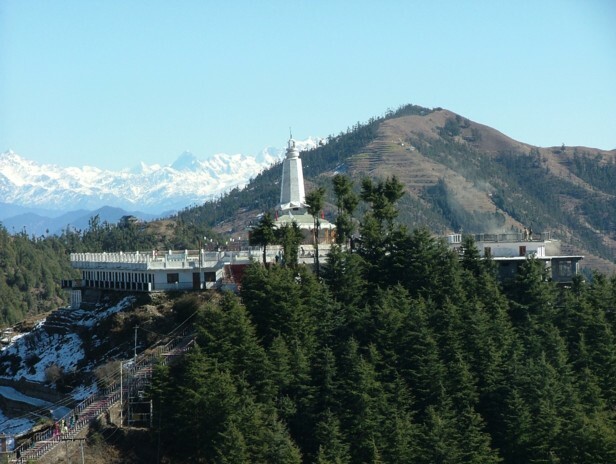 Choordhar : Dominating the entire landscape of fields, forests and ravines is the Choordhar peak, which rises to 3,647 metres above sea level and is a trekking treat from Nahan walks. Approached by way of Dadahu, Sangarh, Bhawai, Gandhuri and Nahura it is a 50 km. trek. A less taxing journey is by taxi or car to Nahura and thereafter a walk of 16 km. The climb is difficult but rewarding. The peak offers a fine view in south of the Gangetic plains and the Satluj river and towards north the Badrinath, a well known Hindu pilgrim centre. 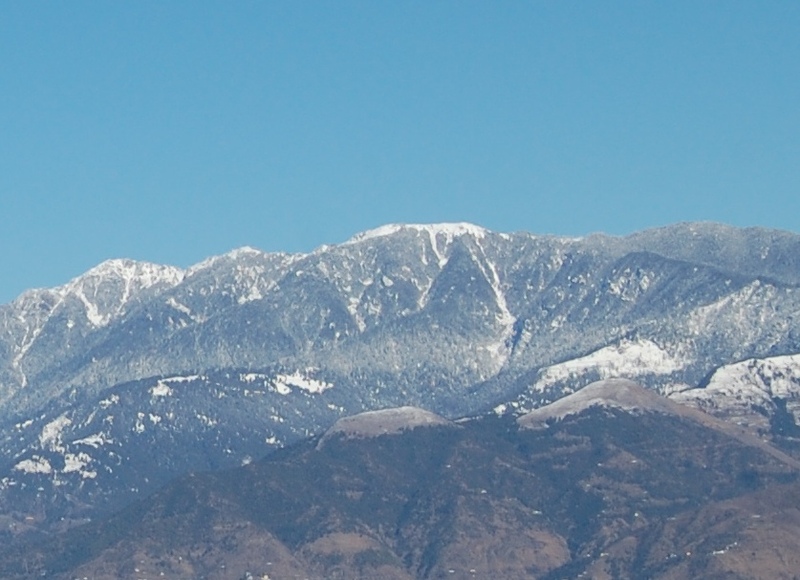 Also seen are the hills of Chakrata and Shimla from the top. An alternative route to Choordhar is through Rajgarh an orchard country. Rajgarh : Rajgarh is located in the heart of Sirmaur district in a lush green valley. It is the biggest subdivision of Sirmaur with a population of 76,509. Rajgarh has two subdivisions, one is Rajgarh itself and the other is Sarahan, another beautiful valley of Sirmaur. The local Shaya temple of Lord Shirgul, the descendant of Lord Shiva, has a mammoth following. According to a legend, Lord Shirgul had first come to Shaya village and later settled in Chur Chandani Chur-Dhar mountains at height of 12,000 feet. 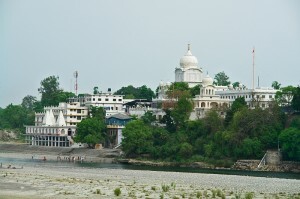 Paonta Sahib : Paonta Sahib is situated on the bank of the river Yamuna. There is a Gurudwara dedicated to the tenth sikh guru, Gobind Sigh, who spent five years here. It is a bustling town. Paonta Sahib is one of the Sub-Divisional Headquarters of District Sirmour and is about 45 km. form Nahan on Shimla-Nahan-Dehra Dun road at an elevation of 397.7 metres from the sea level. This place is of great religious sanctity for the Sikhs and Hindu alike. Gurudwara of Paonta Sahib is located at the victory point. This place attracts pilgrims from all over India. Nahan : Nahan was founded by Raja Karna Prakash in 1621 A.D. as his capital city. It is crowned by the 3,647 metres high Choordhar peak. Nahan’s close proximity to plains makes it an all weather holiday resort. There are a number of picturesque walks through the dense forests and some of them are the Villa Round, Military Round and Hospital Round. 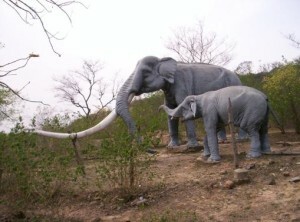 Shivalik Fossil Park at Suketi : Located in Sirmaur district, displays life size fiberglass models of pre-historic animals whose fossils, skeletons were unearthed here. The park is the first of its kind in Asia to be developed at the actual site where fossils were discovered. It is 21 kms. from Nahan, located on the left bank of the Markanda river. The park at present has six sets of life size models of ‘Stegodonganesa’ (extinct grand elephant). Sivatherium Hexapratadon – Sivalensis ( hippopotamus with six incisors), Colossochetys Atlas ( giant land tortoise and chelonia), Paramachaeradus ( sabre toothed tiger) and Crocodiles, the animals which once thrived in the region. The other major attraction is the Museum which contains various fossils, models, charts and paintings relating to the various aspects of plants and animals life of the past and present in Shiwalik range. For refreshment, the HPTDC has a cafeteria a Tourist Information Centre is established there by the Himachal Government. Renukaji : Renuka is the most important place of religious and tourist interest in Sirmaur District. It is nearly 40 km. away from Nahan and is well linked with motorable metalled road. This place has a famous lake named Renuka lake. Parshu Ram Lake is close to Renuka which vaguely resemble a human figure. 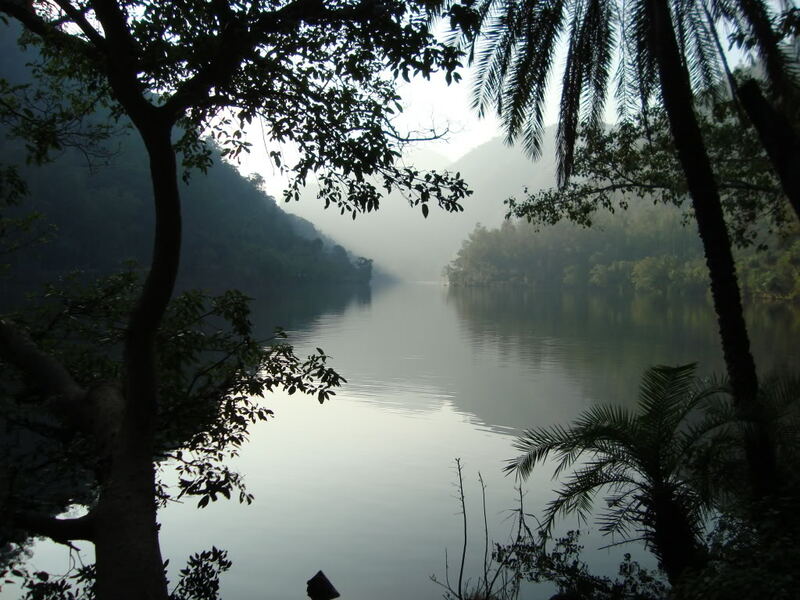 It is believed that Parshu Rama’s mother consecrated into water out of which this lake was formed. 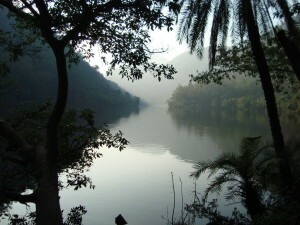 Towards the end of the lake are towering palm trees which offer ideal picnic spots during day time. The place remain full capacity during the days of the fair and offer a spectacular variety of activities. Trilokpur : Trilokpur stands on an isolated hillock about 24 km south-west of Nahan, 77-15’ north and 30’30’ east, at an elevation of about 430 m. The place is famous for its temple of renowned goddess Bala Sundri. The temple was built by Raja Deep Prakash in 1573. An important fair is held at Trilokpur twice a year i.e.in the month of Chaitra and Asvina on sudi ashtmi to chaudas (from the 8th to the 14th of the bright half). During this period the people keep on coming and going but a mammoth gathering is seen on ashtmi and chaudas viz. the first and the final days. The mela in Chaitra draws more people than that held in Asvina. Kafota : Situated at an elevation of 1,804 metres and 42 km. from Paonta on Jagadhari – Narkanda road is village Kafota which has a salubrious climate and holds potantial for picnic. There is a PWD Rest House for comfortable stay. 18 kms. from Paonta Sahib is Rajban Cement Factory. A few kms. from Rajban is Kamrau, the biggest village of Sirmaur district known for rich lime stone quarries. At this place there is a Tilordhar Tibetan Colony with its Buddisht monastery, but the most beautiful one is at Purnwala on way to Bhajain. The Tibetan presence here has resulted in beautiful Tibetan artifacts especially carpets being manufactured for marketing. Khodri Dak Pathar : It is a beautiful picnic spot just 25 km. from Paonta. There is a beautiful park, a swimming pool and a tourist Bungalow. At this place the torrential river Yamuna has been tamed into an artificial lake by constructing a barrage. From here one can get a fantastic view of the lake and the park nearby. While going from Paonta to Khodri one will be delighted to have the canal side drive. Chhibran power house is an unique sight to see as the entire structure has been built underground. Shastra Dhara : At this place there is a confluence of river Yamuna and Tong ( Tamsa ). This is a beautiful place and a paradise for tourists. Nearby is village Kalsi ( now in Uttar Pradesh ) 25 km. from Paonta, which was the old capital of Sirmaur. At this place there is ‘Ashokan Rock Edict’ which is worth a visit. The Ashoka pillar which stood here was removed to Delhi by one of the Muslim Rulers of the Sultanat period. Giri Nagar : situated at a distance of 7 kms. from Dhaula Kuan, this town has a power house of 60 MW capacity constructed after diverting the Giri River through a 6 kms. tunnel. Accomodations in Sirmaur : There are numerous hotels in Sirmaur where you enjoy a comfortable stay at affordable prices. Hotel Renuka, Hotel Yamuna, Hotel Hill View, Hotel Regency, the mall, black mango and clock tower are some of the hotels situated in Sirmaur region. Air Route : The nearest airheads are Dehra Dun and Chandigarh, which are accessible from Nahan and Renuka by road. Dehra Dun and Chandigarh are served from Delhi by Indian Airlines. Within the state, the capital Shimla, is connected by air, from which the region is accessible by road. The nearest airport in Himachal is Jubbarhatti 102 km. ( from Sarhan via – Solan – Shimla – Jubbarhatti ) and 140 km. from Nahan. Train Route : For Nahan, the nearest railhead is Ambala, 100-km away, Dehra Dun also serves as a railhead, 65-km from Paonta Sahib. Regular train services from Delhi connect both rail terminals. However in Himachal, nearest narrow guage line is Barog ( near Kalka ) 42 km. Road : Sirmaur is well connected by road. Regular buses and taxis available from Ambala and Chandigarh. Regular bus services linking it to the other towns like Manali, Delhi and Haridwar are also available.